Anthocyanin pigments have demonstrated ability to protect against a myriad of human diseases. 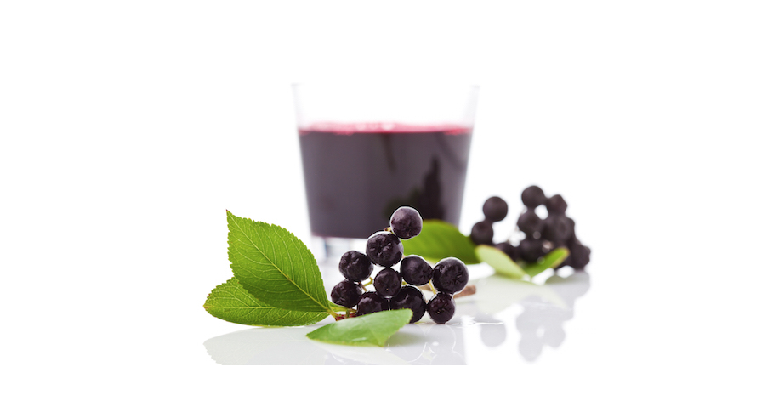 Scientific studies have revealed a huge level of anthocyanins and proanthocyanidins in aronia berry. 20,600+ ORAC6 units per serving size. Highest concentration of antioxidants present in any fruit, more antioxidant power than blueberries, cranberries, elderberries, and raspberries. Our berries are grown in North Euro-Asia continent (Siberia), 500 miles away from nearest industrial zone. Naturally resistant, it does not need pesticides. Sub-zero temperature environment makes our berries more resilient, resulting in a potent juice. Aronia berry juice is extracted through a cold-press method with no added sugar, additives, or preservatives. It is naturally gluten and lactose-free. Drink 30ml (2 tbsp) per day to sustain a healthy and active lifestyle. Drink 50ml (3.3 tbsp) per day to improve health. Or add aronia juice to your favorite juice or smoothie. It will make for a delicious and powerful antioxidant boost! Made according to the standards of General Principles of Food Hygiene including HACCP. Our juice is stored in double insulated glass amber bottle to prevent UV degradation of nutrients. The aronia berry is a super fruit, containing more antioxidants than blueberries, cranberries, elderberries, and raspberries! Numerous studies have linked aronia berries to potential health benefits such as helping to fight cardiovascular disease, normalizing blood pressure, diabetes prevention & help, urinary tract health, weight control, anti-carcinogenic effect, and many more. Aronia Treasure has a highly bioavailable antioxidant capacity of 20,600+ ORAC6 μmol units per serving size. Aronia berries contain a high level of polyphenols, which are micronutrients with antioxidant activity found in various plant foods. Within the polyphenol family, flavonoids are of particular interest in terms of health as they have both antioxidant and anti-inflammatory properties. Aronia berries contain an extremely high concentration of a certain flavonoid called anthocyanin, having 1,480mg of anthocyanin per 100g of fresh aronia fruit. Since plants produce anthocyanins as a protective mechanism in response to environmental stressors, our aronia berries are grown in the harshest conditions and are kept at sub-zero temperatures for half of the year to bring you the most potent juice. Unlock all of the health benefits of this super berry with Aronia Treasure. Our cold-pressed juice will boost your health and may help in addressing and preventing many common ailments that have become increasingly prevalent in our modern world. Revitalize yourself from the inside out! Our aronia berry juice is extracted through a cold-press method with no added sugar, additives or preservatives. It is naturally gluten and lactose-free. Our juice is stored in double insulated glass amber bottle to prevent UV degradation of nutrients and made according to the standards of General Principles of Food Hygiene including HACCP. More information can be found at www.aroniatreasure.me. Our berries are grown in Siberia, 500 miles away from nearest industrial zone, making them free of many airborne toxins. The aronia berry bush is also naturally resistant to pests and diseases, meaning there is no need to spray pesticides. Our berries are grown at temperatures below 32°F for a minimum of six months per year. This sub-zero environment makes our berries more resilient, resulting in a more potent juice. Save 5% when starting your subscription! See our catalog for specials and subscription discounts.